This season, several cable networks have successfully experimented with commercial-free debuts of new series. Now, NBC is hoping to keep the streak going with Aquarius, its '60s detective drama starring David Duchovny, when it returns for a second season in June. The show's Thursday, June 16 premiere will air without commercial breaks or network promos, NBC announced. There will be a 55-second local news break during the second hour. The episode will have a normal ad load online and on digital platforms following the premiere, and the rest of Season 2 will also have ads. A year ago, NBC rolled out an innovative launch for Aquarius, streaming all 13 episodes of Season 1 on NBC.com, the NBC app and other VOD platforms for four weeks following the show's two-hour network premiere. It renewed the show in July despite moving it from Thursdays to Saturdays as ratings plummeted—the TV equivalent of waving the white flag. By the end of Season 1, the show had dipped to a 0.2 rating among 18- to 49-year-olds. While this year's production schedule did not make another binging launch possible—the episodes won't be completed in time—NBC is hoping the ad-free premiere will entice audiences to come back and give the show another try. The commercial-free approach paid off for Syfy when it aired a commercial-free sneak peek of The Magicians in December, while TBS rolled out the entire first season of comedy Angie Tribeca during a 25-hour "binge-a-thon" with no ads during the episodes in January. WGN America opted to forego ads for the series premieres of Outsiders in January and Underground in March. All of those shows have been renewed for second seasons except for Underground (and that seems imminent). But before The Magicians, the last time an ad-free episode aired in prime time on any broadcast or basic cable network was 2012, when NBC previewed its comedies Go On and Animal Practice during its Summer Olympics coverage. 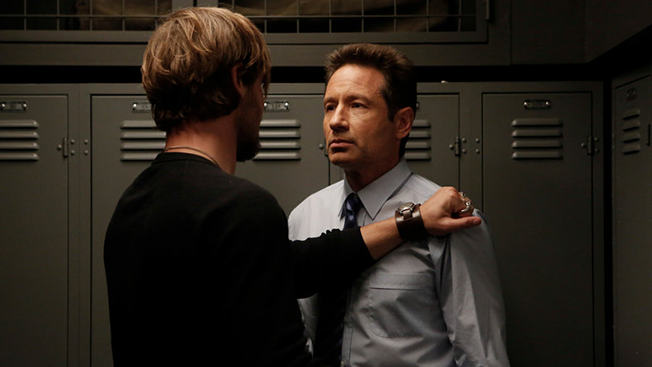 Both of those shows were ultimately canceled, a fate NBC hopes to avoid with Aquarius.